Overeating processed foods is one of the most common ways to replace a drug or alcohol addiction. Pamela M. Peeke, MD, MPH, has worked with addiction treatment centers across the country to educate residents about “hyper-palatables”—sugary, fatty, or salty foods—and how they hijack the brain and trigger compulsive behaviors, making relapse even more likely for those in early recovery. At St. Joseph Institute, we strictly limit sugar and processed-food intake and encourage our residents to continue to make healthy choices after they complete the program. We have posted on the importance of nutrition before, and new research continues to point to the immense power of food to trigger compulsive behavior, including addiction. An article in the August 2015 issue of Psychology Today reveals evidence that what happens in our gut may have just as much power over our behavior as what happens in our brain. Laboratory tests on animals have revealed that when intestinal bacteria, or probiotics, are out of balance, subjects are more prone to stress, anxiety, depression, autism, chronic pain, poor cognitive function, and weakened immune systems. Imbalances of gut bacteria can also compromise the brain’s reward system and produce the cravings that stimulate compulsive behavior. There are many products and supplements intended to foster healthy probiotics. You should talk to your doctor about whether you need any particular product or supplement. But the best way to ensure a healthy gut is to eat the foods that support it: whole foods that are naturally low in sugar, fat, and salt. The evidence continues to mount: take care of your gut, and you will take care of your brain. 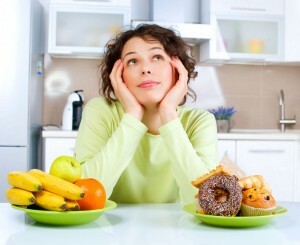 Don’t underestimate the power of a healthy diet to combat anxiety, depression, and compulsive behavior. Continue to seek out tools and tips for living healthfully in recovery.